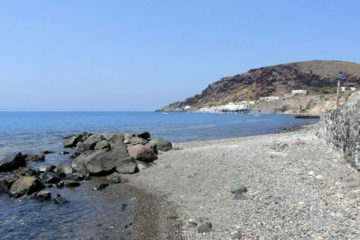 Exo Gialos beach is the closest beach to Fira. Actually there are two beaches with a small harbour in the middle. 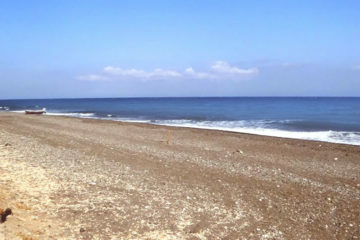 Both beaches have black sand, pebbles and deep waters. The beach on the left is organized with a few sunbeds and umbrellas while the one on the right is more isolated without any beach facilities. 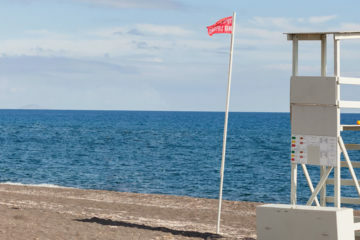 On the organized part of the beach there is a beach bar and restaurant called Yalos, where you can have a drink or taste freshly caught fish and Mediterranean cuisine. Behind the beach, you will see big holes in the volcanic rock that are used by the locals as storage areas to house their boats during the winter time. 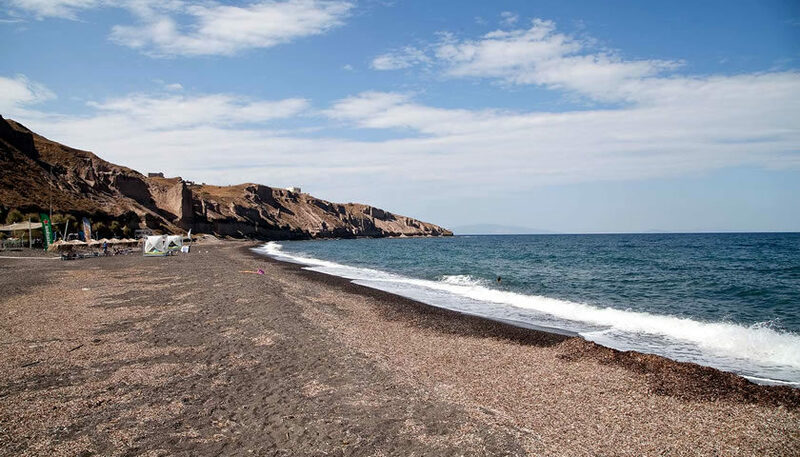 You can access the beach by car or even on foot from Fira since the distance is only about 2klm.